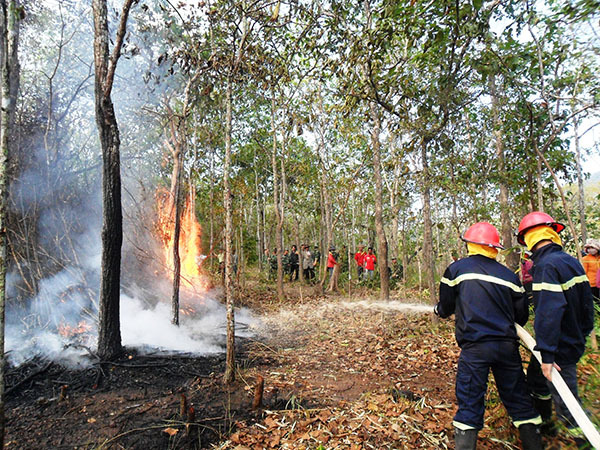 22/2 days, MARD issued Official Telegraph 1566 / CD-BNN-VNFOREST on strengthening fire prevention and firefighting. In the coming time, the drought will occur in many places, the risk of forest fires, especially in the provinces in the North West, Central, South, West Highlands. The data observed over the years shows that the loss of forest fires from March to May was the highest in years. The fact the last time, forest fires have occurred in the provinces of Lang Son, Bac Giang, Quang Ninh, Ho. Hanoi, Ho. Haiphong …, not only cause damage to forest resources, but also a threat to human life and property. To proactively preventing and fighting forest fires and minimizing the damage caused by forest fires, the Minister of Agriculture and Rural Development proposed Chairman of the provinces and centrally-run cities in directing and organizing the to immediately fire prevention measures. First, actively implement the State’s regulations on forest protection and fire prevention and firefighting; implementing effective Directive 10 / CTT-TTg dated 30/03/2016 of the Prime Minister on strengthening urgent measures for preventing and fighting forest fires; Official Letter No. 10100 / BNN-VNFOREST date 29.11.2016 of the Ministry of Agriculture and Rural Development on the work of preventing and fighting fires in 2016-2017. 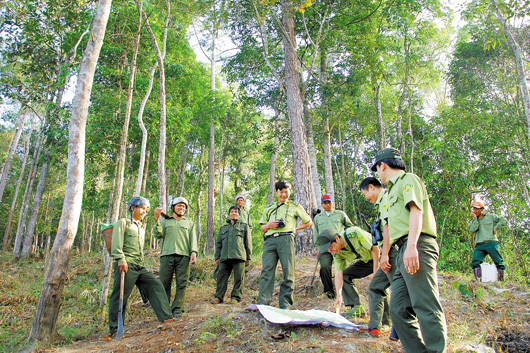 Localities should direct the interdisciplinary (Ranger, Police, Army) implemented regulations on coordination of forest protection and fire prevention, firefighting, related provincial departments to plan for security make the force, logistics under the motto four spot, standing ready locally to coordinate the response force in case of forest fires, the subordinate units to strengthen close coordination with forces rangers, government at all levels to organize forces, facilities, equipment and fire prevention and firefighting ensure timely handling situations. Organizational communication, dissemination, legal education in the communities in forest protection and fire prevention and firefighting; strengthen the forces and means to live in the key areas of forest fires. Consolidating and promulgating regulations on the activities of the Steering Committee on plans to protect and develop forests at all levels, to strengthen the inspection, monitoring and supervising the implementation of the task of protecting forests, preventing and fighting wildfires in the locality; forest fire prevention is considered a key task. Strengthening the management of upland farming activities planned, guided and closely manage the clearing and burning, specified prohibited areas slash and burn and other fire behavior during drought. Tracking information on the forest fire warning system early fire warning information at FPD website address: kiemlam.org.vn to test, early detection of forest fire. Report fires immediately when incurred to the Office of the State Steering Committee plans to protect and develop forests – Forest Protection Department at the telephone number: 098 666 8333 for directing and coordinating the mobilization of forces fighting forest in case of necessity.